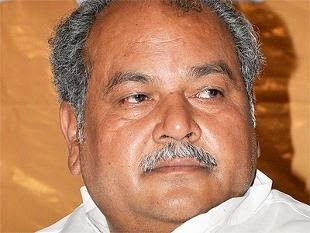 Senior Narendra Modi minister Narendra Singh Tomar has told the G-20 labour ministers’ conference in Melbourne that the Government of India is all set to amend the “labour laws in order to encourage investment, ease of doing business and entrepreneurship”. Suggesting that hire and fire would be the touchstone of the new amendment, the Union labour minister however did not utter a single word on going for social safety net, as it exists in western countries, in case a worker is hired from the workplace. In sharp contrast to the Indian labour minister’s remarks, the Melbourne declaration of G-20 labour minister said, while it was necessary to have “comprehensive growth strategies that empower business to generate jobs and opportunity”, the need was also to promote and create “quality jobs”, and tackle “the economic and social consequences of unemployment, underemployment, inequality and social exclusion.” It added, these should be seen as “priorities” of the G-20 economies. In the west, the state is obliged to support the unemployed. Quite in line with Government of India’s neo-liberal views, Tomar suggested that the hire and fire policy alone was capable of “requirements to boost labour market participation.” He said, “Structural unemployment and underemployment are biggest challenges on account of the mismatch between demand and supply factors of employment and rigidities in the labour market.” He talked of a adopting a “multipronged strategy” of demand and supply labour which he believed would reduce unemployment. All this, he said, would mean “measures to simplify the labour laws”, adding, under the past policy which sought to protect labour, “the rate of employment growth was less than 1 per cent”, with youth unemployment rate touching 6.6 per cent and underemployment rate 5.7 per cent. “Every year almost 10 million people enter labour force in India”, he added, one reason why things become worse. The two-day conference wounded up on September 11.